Sometimes the actions of one parent can help a whole population of children. This is certainly true for Pam Moore., a parent mentor from Madison County. Ms. Moore , one the Partnership’s original parent mentors, became a diligent advocate for Medicaid policy reform in Georgia after she experienced difficulty accessing medical services needed for her daughter, Callie, who is now a teendager. 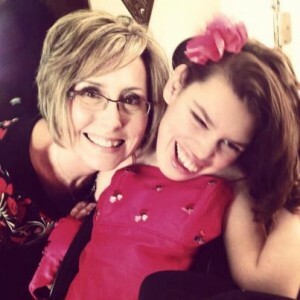 After several attempts by Medicaid to reduce Callie’s nursing services, Ms. Moore partnered with attorneys from the Georgia Advocacy Office to file a lawsuit against the Department of Community Health, the state agency responsible for managing Medicaid in Georgia. At the core of the lawsuit was the requirements of the Early and Periodic Screening Diagnosis and Treatment (EPSDT). Ms. Moore and her attorneys fought Medicaid for over seven years, and in April 2012, they received a favorable decision relating to the most recent hearing before the Honorable Judge Thomas Thrash, serving the U.S. District Court for the Northern District of Georgia. This decision will not only benefit Callie, but it sets a precedent for other children and young adults like Callie who need a range of medical services. Now that she has the nursing services that she requires, Callie can continue to enjoy the activities that she enjoys, and her mother can rest a little easier knowing that Callie has the nursing services that needs.